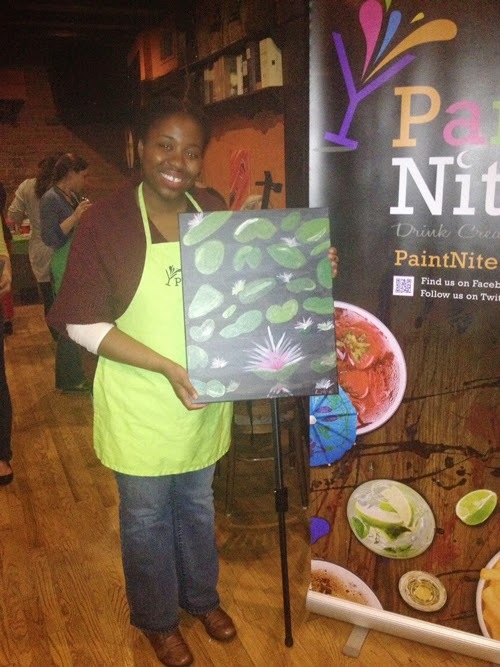 If you haven't noticed, Paint Nites, and various named "sip and paint" events, are the new hip thing to do. 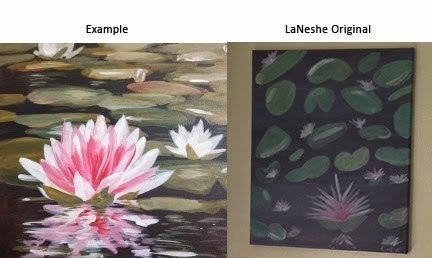 The basic concept is you have a few drinks while being led by a painting instructor on painting a particular picture. They've been all over GroupOn and Living Social, and I've seen plenty of people's Instagrams from their experiences so I thought I'd give it a shot. Now that I'm pregnant I'm always looking for something to do where drinking isn't the main component, so this was a good fit for activity. I haven't painted something since elementary school, and even then I wasn't good lol. My picture doesn't really look ANYTHING like the example, but I'm proud of it, because I made it, and hubby hung it up in our living room for me. Have you tried Paint Nite?